Gated Golf Course Community. 2 Bedroom 2 Bath attached Villa with 2 Car Garage with pond view in the Fairway Greens section of Heritage Harbour. There is an inside Laundry Room with Washer & Dryer. Master Bedroom has a large flat screen. Also there is a TV in the Living Room. Wi-Fi is available in the unit. The resort amenities include a semi-private golf Course with Aqua Driving Range, Practice Green, Tennis Courts, Basketball Court, Child Play Area, Clubhouse & Community Heated Pool. Close to Shopping & Restaurants. 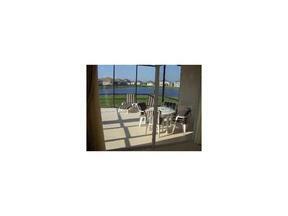 Access to Several Beautiful Beaches in the Manatee & Sarasota Counties area. There is a mandatory HOA $200 Application Fee. This property is rented from 1/1/18 thru to 3/31/18.